With returning Islamic State in Iraq and Syria fighters passing through Asean countries, there is a need for close coordination to exchange intelligence and biometric information of known fighters. HONG KONG Buoyed by a continuing recovery in global trade, Asian manufacturing improved in August, with eight of the 12 economies surveyed by the Nikkei showing a pickup and just four in contractionary territory. Launched by the Philippine Board of Investments (BOI), the ASEAN Business Awards added a new category this year, hailing inclusive businesses (IB) that engage partners, suppliers, customers, or employees from low-income communities. Ministers responsible for environment from all 10 Asean member countries jointly launched the AED, which is a revamp from the Asean Environment Year, celebrated every three years to highlight the region’s achievements and commitment to environmental protection, as part of the bloc’s efforts in promoting environmental awareness among its citizens. Authorities from 10 Asean members and China have pledged to join forces to combat the illegal wildlife trade. China and members of the Association of Southeast Asian Nations (ASEAN), which includes the Philippines, are expected to enhance further the cooperation on investment and production in several fields as the city hosts the 14th China-ASEAN Expo (Caexpo). The United Nations’ call to conserve and sustainably develop the oceans, as one of its Sustainable Development Goals, perhaps resonates most with Southeast Asia than in any other part of the world. A recent report by the World Economic Forum underscored the Kingdom’s poor performance in educating and training its citizens in order to develop a competitive workforce and put their skills to productive use, ranking it for the first time in its annual review as the worst in Asean. With several Asean peers on the march to launch tourism campaigns for 2018, Thailand is pledging a busy calendar of international events and tourism activities in the year to come. Ambassadors from the Association of Southeast Asian Nations (ASEAN) in Ankara urged increased cooperation between their organization and Turkey at an ASEAN Awareness Week event in the capital yesterday. 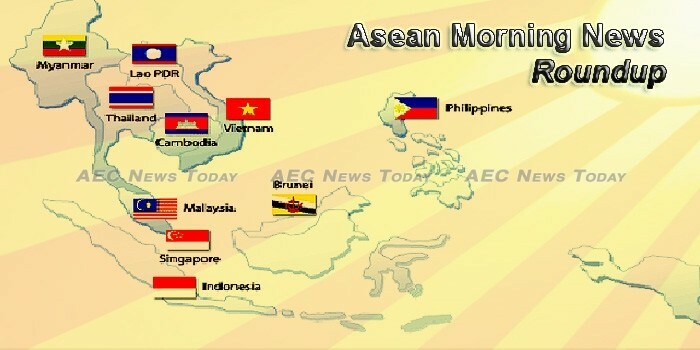 Canada has agreed to commence exploratory discussions on a Free Trade Agreement (FTA) with the 10 member nations that make up Asean, according to an announcement by the Canada-Asean Business Council (CABC). The Cambodian government has called on North Korea to respect U.N. Security Council resolutions and urged it to cease its nuclear testing program amid fresh sanctions imposed on Pyongyang. Indonesia stocks were lower after the close on Wednesday, as losses in the Mining, Property and Infrastructure sectors led shares lower. The government has to comprehensively disseminate information about the bill to avoid public misunderstanding that could lead to social unrest. The Indonesian Navy and its United States counterpart completed a joint exercise and skills exchange with Indonesia on Wednesday (13/09) as part of a bilateral effort to deepen maritime security cooperation between the two countries. Official Development Assistance (ODA) to be provided to Laos in 2018 is expected to increase from this year amid concerns about cuts in aid when Laos graduates from Least Developed Country (LDC) status. Laos and Thailand have signed an agreement on pollution management, creating a five-year mutual action plan to promote bilateral cooperation in environmental issues. The government is optimistic that enforcing Prime Minister’s Order No. 15 will lead to sustainable forestry management in Laos after thousands of cubic metres of illegally felled wood have been confiscated. Prime Minister Datuk Seri Najib Abdul Razak and US President Donald J. Trump have pledged to nurture the economic ties between the two nations to create jobs and opportunities, as well as remove trade barriers in key sectors. Prime Minister Najib Razak said there was a campaign to deliberately sabotage 1Malaysia Development Berhad (1MDB) to undermine investor confidence in Malaysia’s economy. Boeing has signed a memorandum of understanding to sell 16 aircraft to Malaysia Airlines – eight wide-body 787 Dreamliners and eight narrow-body 737 MAXs, the company said on Wednesday (Sep 13). Al Qaeda militants have called for support for Myanmar’s Rohingya Muslims, who are facing a security crackdown that has sent about 400,000 of them fleeing to Bangladesh, warning that Myanmar would face “punishment” for its “crimes”. China’s Hong Kong Special Administrative Region (HKSAR) government information services department announced Wednesday that Chief Executive Lam Cheng Yuet-ngor will leave for a visit to Myanmar Thursday. Facing a storm of global criticism over an ethnic slaughter in her home country, the Nobel laureate who is Myanmar’s most prominent political leader has canceled her planned visit to the United Nations General Assembly. Singapore is closer than any other country to meeting health-related targets set by the United Nations, according to a global health review published on Wednesday (Sep 13). Singapore’s leave-nothing-to-chance approach to political succession is being thwarted by forces outside its control and some curious decision-making by the Prime Minister. President-elect Halimah Yacob has promised to be a President for everyone, regardless of race, language or religion. Thailand’s medium-term growth outlook continues to be challenged by high household debt and adverse demographic trends even though the economy has picked up in 2017, while the prospects for Thai banks’ operating environment and sector performance remains negative, albeit with modest improvements in growth, asset quality and profitability expected in 2018, said Fitch Ratings’ analysts at the agency’s annual conference in Bangkok. Thailand’s largest telecommunications Advanced Info Service Pcl (AIS) plans to spend 2.6 billion baht ($78.57 million) to buy 56 percent of Internet service provider CS Loxinfo, further advancing its Internet broadband coverage. A Deputy National Police Chief has submitted reports on the inspection of four state rice stores conducted last week to a Deputy Prime Minister, acknowledging that some irregularities were found. Authorities in Ho Chi Minh City announced on Wednesday a further delay to the start of Metro Line 2 until 2020, taking it seven years behind schedule, because more time is needed to formulate and process the project. The State Bank of Vietnam (SBV)’s statistics show that the average capital adequacy ratio (CAR) of the banking sector has been consistently falling since the beginning of this year. Giang noted that in the first eight months of 2017, the sector enjoyed growth of 9.9 percent year on year to 19.8 billion USD in exports.